The Neonatal Trust is privileged to be part of 'Points for Purpose' - an initiative where Kiwis can turn their Fly Buys points into support for others. These items will help keep neonatal babies warm and also provide a pick-me-up for families who are going through the stress and anxiety of a neonatal journey. This is another example of The Neonatal Trust helping to support neonatal families. To see others, you can view a gallery of other examples of our meaningful and practical support. As part of the launch of Points for Purpose, the gifting of a new blanket was covered by Stuff.co.nz. This covered the gifting of a 100% wool Swanndri blanket to Mum Brittany Hepi. Brittanys daughter Tiare O'Sullivan-Heemi was born 14 weeks early, weighing just 985 grams - only just bigger than her mother's hand. .
Hepi was hugely appreciative of Points for Purpose and said it helped charities like The Neonatal Trust make life a little bit easier for families. "They are amazing. It's a really hard and emotional time. They know what you are going through and know what help and support you need." 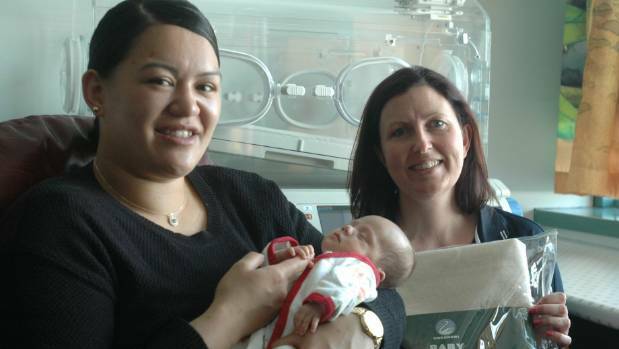 She had travelled from her home in Upper Hutt into Wellington and later to the Hutt neonatal unit every day to be with Tiare and found the process exhausting. Read the Stuff.co.nz story here. Points for Purpose was first launched in Australia to support homeless people with quality, warm sleeping bags. Now in New Zealand, The Neonatal Trust is privileged to be one of the partner charities of this great initiaitve. Are you a Fly Buys member, and would you consider helping a neonatal family with your points? If yes, head here to check out the items you can donate to a family in need. Can you help us spread the word on this great initiative?